Arizona is recognized as having some of the toughest Driving Under the Influence (DUI) laws in the country. In 2013, the number of arrests for DUI was higher than for any other specific criminal offense. Unlike most other states, an individual can be convicted of DUI with any amount of alcohol in his blood (i.e. more than 0.00% blood alcohol content — BAC) if an officer observed other telltale signs of impairment, such as erratic driving, slurred speech, or inattention on the part of the driver when spoken to by the arresting officer. Most states require a set minimum amount, usually 0.02% BAC. Arizona also requires that all those convicted of any DUI offense shall install a certified ignition interlock device on their car for one year once their license has been reinstated. This penalty is in addition to any jail or prison time and fines, that the court will impose, not to mention community service and alcohol or drug treatment programs. When you call our offices, you will be connected immediately with one of our knowledgeable and friendly Mesa DUI attorneys. We understand that time is of the essence when you have been placed under arrest. We can answer your questions directly on the phone without having to first schedule an appointment. Many criminal defense law firms allow legal assistants to manage clients’ cases. AZ Criminal Defense Group believe that our fiduciary obligation to our clients requires more. We assign all our cases to an attorney who is in direct charge of your legal matter from beginning to end. Our firm has received an “A” rating with the Better Business Bureau, with all customers reporting a “positive” experience with our attorneys. Avvo.com, an online site that provides information and ratings about attorneys based on background data from public records, published sources on the Internet, and information from lawyers themselves has given our attorneys a “Very Good” rating, with average scores of 5 out of 5 from all client reviews. In order to adequately assist our clients who may be in need of legal advice at any time of the day or night, the Mesa DUI Attorneys at AZ Criminal Defense Group are on call 7 days a week, 24 hours a day. We can answer your questions and alleviate your concerns on the phone without an appointment. When an individual is faced with arrest and is under immediate pressure, that person should be able to receive quality legal advice without the fear of incurring unaffordable legal costs. For this reason, we provide initial free consultations to clients who call us, whether or not they decide to hire us. In addition, we keep our fees competitive by reviewing them periodically and by offering a fee-matching guarantee. Furthermore, we offer flexible payment options and plans once you do decide to hire us as your counsel. If you have been charged with DUI, you deserve the finest legal representation possible. It is simply foolish to ignore the need for counsel and trust your fate to the criminal justice system. 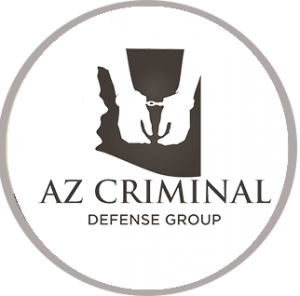 Call AZ Criminal Defense Group today at (480) 525-8994.